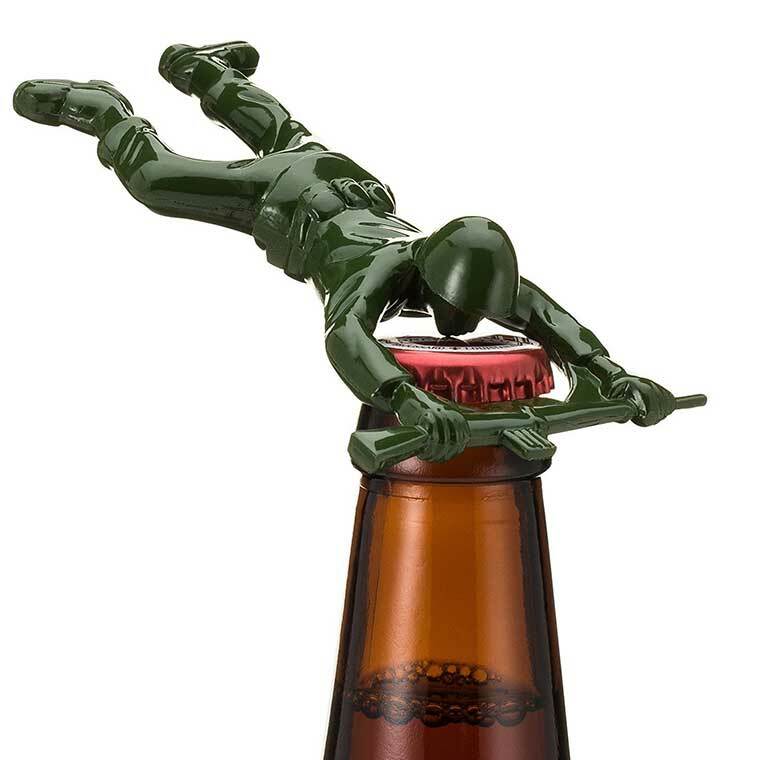 Any guy will think this army guy bottle opener is cool. 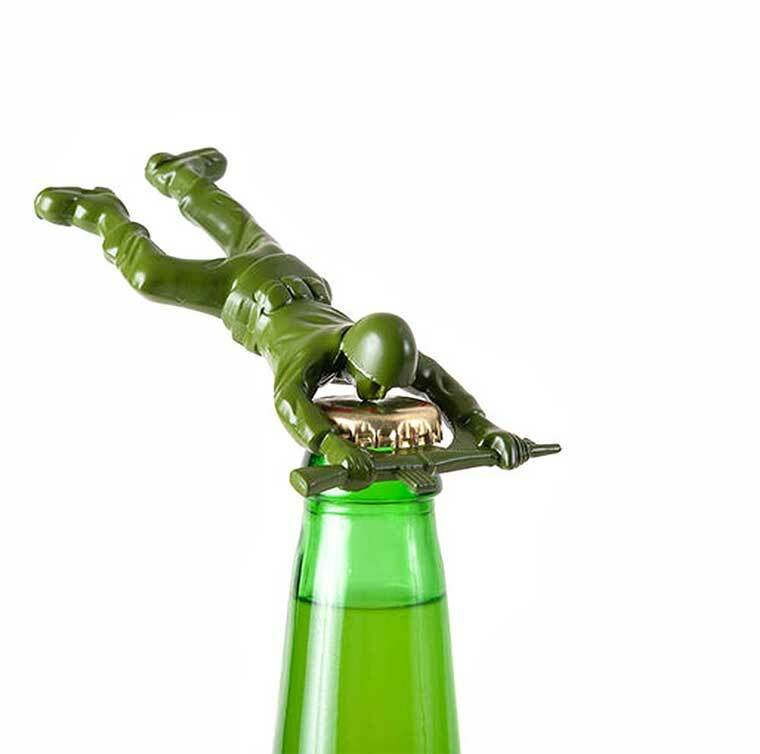 Most of us grew up playing with toys that looked like this, expect this army man doubles as a bottle opener! It is made from a strong and durable cast metal with unique illustrated packaging that makes it great for gifting. An army guy bottle opener is a must have for any man cave. Most guys grew up playing with army guys as a kid. Whether you’re buying this for yourself or as a gift this thing will get plenty of use. It will remind any guy of the good old days of no responsibility as a kid. Along with being useful it is also a funny conversation and display piece. It is made from a strong cast metal, but it is not magnetic. You could also include it with a pack of their drink of choice if you’re getting it as a gift. The dimensions of the product are 2.75 by 4.5 inches. Although I couldn’t find an image of the packaging it does come with illustrated packaging. Down the Pike Company also sells a good bottle opener that has great reviews. You can see and read reviews just by clicking on the image. If you have any questions let us know below. Be sure to look over our other categories before you go.